That was the reason why I ended up mounting mine in the rear with the outlet under the rear bar. I needed it to reach the camper trailer. 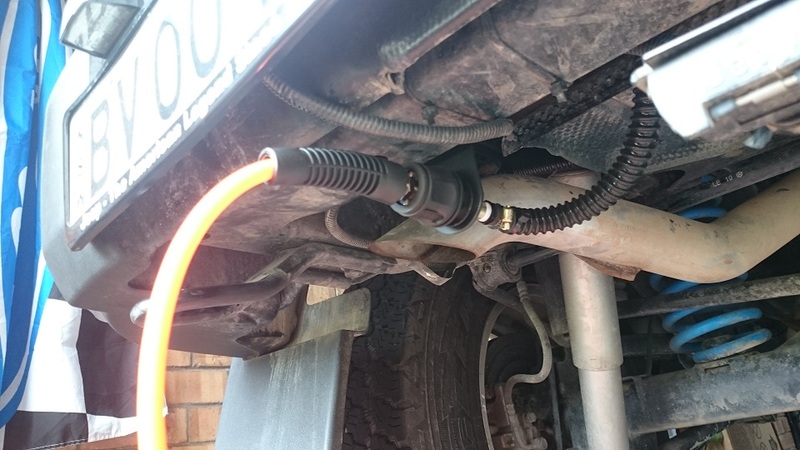 ARB have extension hoses but they are pretty pricey for what they are.